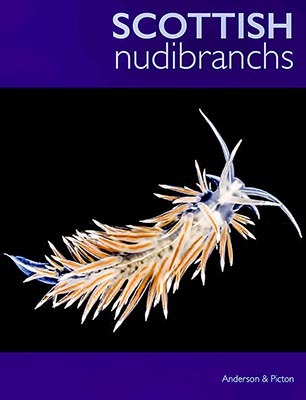 Scottish Nudibranchs has been updated and is available here as an Apple iBook and here as a Kindle e-book. 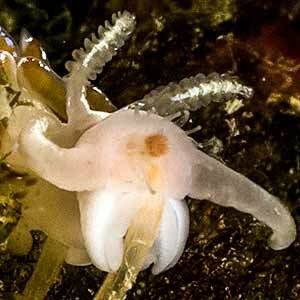 Following the recent publication of several significant revisions to the taxonomy of many of the species we have updated in line with these publications. 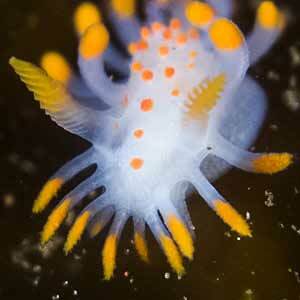 Scottish Nudibranchs available here as an Apple iBook and here as a Kindle e-book. 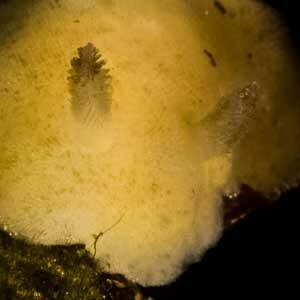 Knoutsodonta pictoni described - previously Knoutsodonta sp. A on this site. 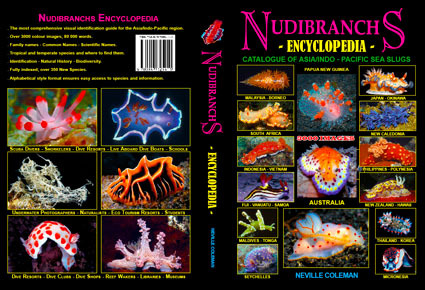 Scottish Nudibranchs published 12 May, 2017 and available here as an iBook. 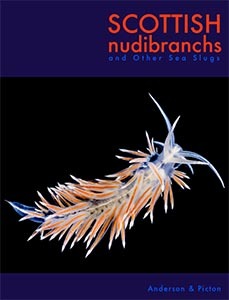 Our 2nd publication: Scottish Nudibranchs - published May 2017. 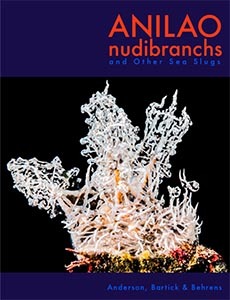 Our 1st publication: Anilao Nudibranchs - published 1 Mar 2017. 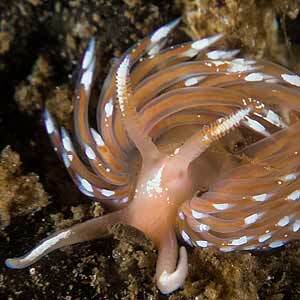 A Radical Solution: The Phylogeny of the Nudibranch Family Fionidae. Cella K, Carmona L, Ekimova I, Chichvarkhin A, Schepetov D, Gosliner TM (2016). 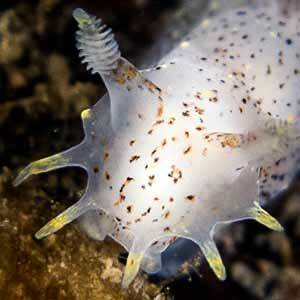 The publication of 'Aeolidia papillosa (Linnaeus, 1761) (Mollusca: Heterobranchia: Nudibranchia), single species or a cryptic species complex? 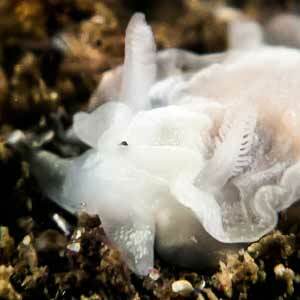 A morphological and molecular study' reveals we have a new species, Aeolidia filomenae. 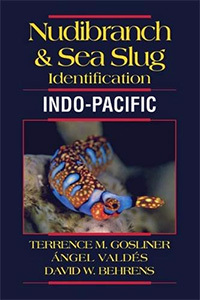 Nudibranch & Sea Slug Identification - Indo-Pacific, 2015 by Terrence M. Gosliner, Angel Valdes, David Behrens. Added to our library with many thanks to George Brown for this gift. 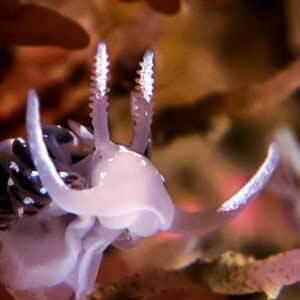 We have added a page to house our Doto sp. 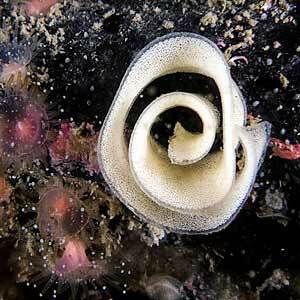 that are unidentified to date. 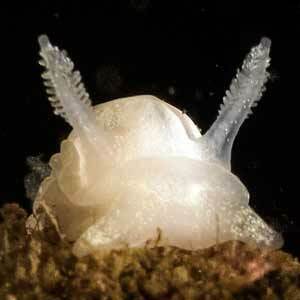 Following the publication of Family matters: The first molecular phylogeny of the Onchidorididae Gray, 1827 (Mollusca, Gastropoda, Nudibranchia) by Hallas and Gosliner, March 2015 we have synonymised Adalaria sps. 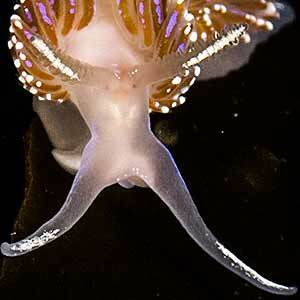 into Onchidoris. 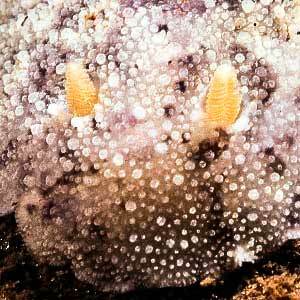 Thanks to the comments of Ian F Smith we have corrected mis-identifications and have added another species Onchidoris loveni. We have updated our camera and other gear recently. The current set-up can be seen here. 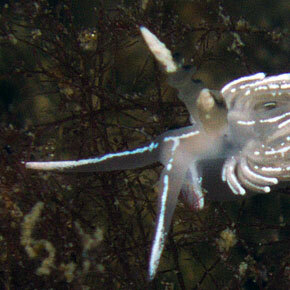 We have added links to all the species pages to OPK Opistobranquis. 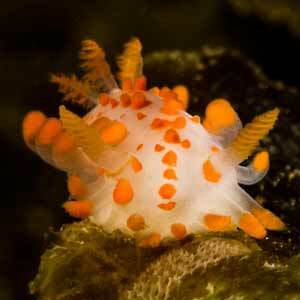 This excellent site is dedicated to Iberian and mediterranean species with many of the species we see. 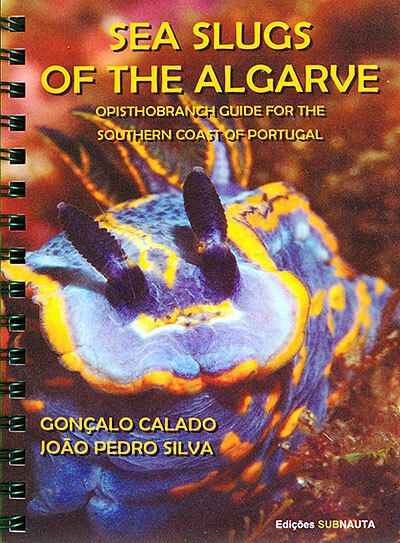 We have added, Gonçalo Calado and João Pedro Silva's excellent Sea Slugs of the Algarve, to our library. 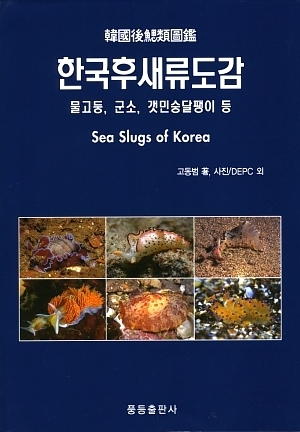 The guide figures and describes 115 species, based on 357 photos. 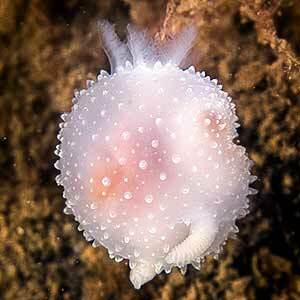 Not previously reported from UK waters and following consultation with Dr. Bernard Picton we have added Flabellina nobilis from a recent west coast dive. 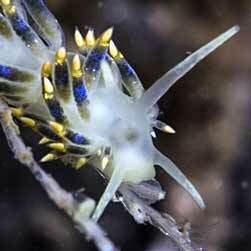 and sorted out the Aeolidia papillosa and Aeolidiella glauca. 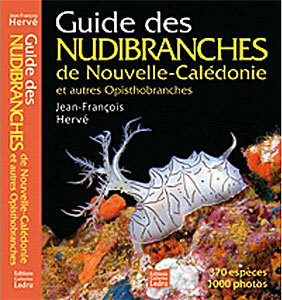 We have added Jean-François Hervé's Guide des nudibranches de Nouvelle-Calédonie to our library. A beautifully illustrated guide, in French, to the fauna of these Pacific islands. 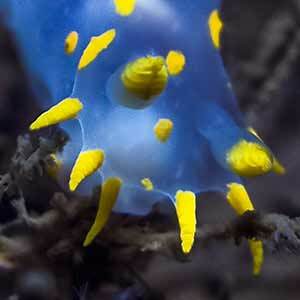 Additional images added from dives there and elsewhere on the west coast. 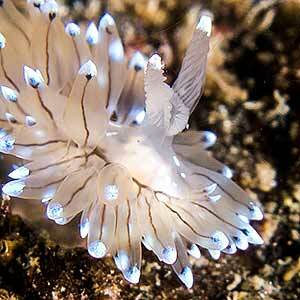 Additional images added from dives on the west coast. 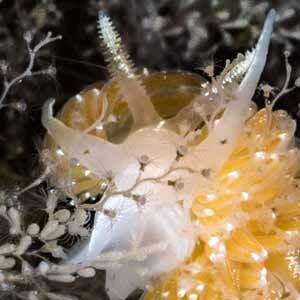 We are now using a Sony NEX-5 camera in a Nauticam housing. 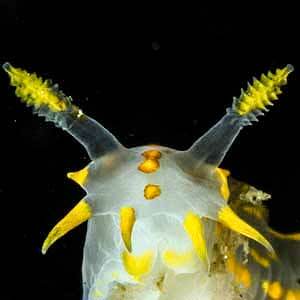 One of our images of a Lomanotus genei was used in the 2010 issue of Irish postage stamps in the series 'Irish Animals and Marine Life' and available from here. 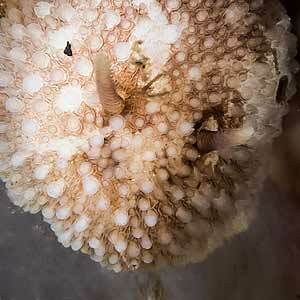 Additional images added from dives on the east and west coast. 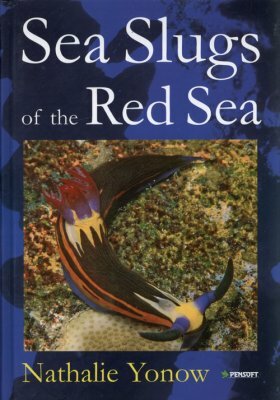 Added to our library, Nathalie Yonow's definitive Sea Slugs of the Red Sea, ISBN 978-954-642-327-6, Pensoft Series Faunistica No. 74, ISSN 1312-0174. Pensoft Publishers, Sofia-Moscow, 165x235, illustrated in full color by nearly 500 marvelous photos of living animals, species accounts, taxonomy, distribution, ecology, complete reference list and index. 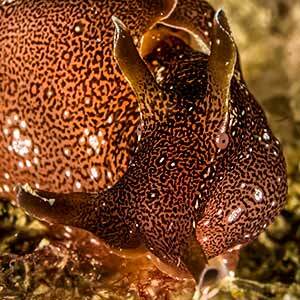 In addition we also sighted, but did not get decent images, Diaphorodoris luteocincta, Eubranchus farrani, Geitodoris planata, Goniodoris nodosa, Janolus cristatus, Limacia clavigera, Polycera quadrilineata and Tritonia plebia. 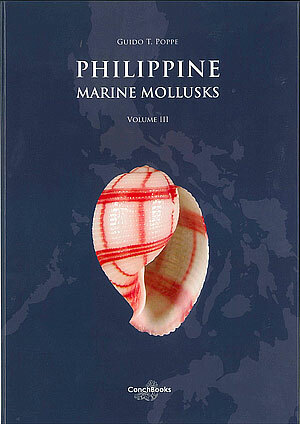 We have added G.T.Poppe,s magnificent Philippine Marine Mollusks Volume 3 to our library. 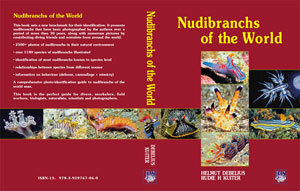 This volume covers the Nudibranchs and features multiple images of species to aid identification and includes some of our images from that part of the world. 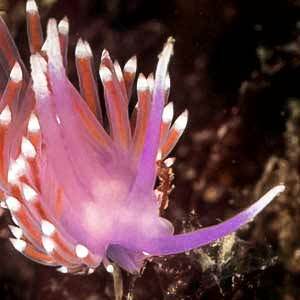 Thanks to Dr. Bernard Picton we have corrected a misidentification and now have another Flabellina pellucida on the site. 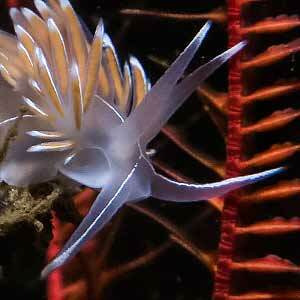 For nudibranch photographers - we recommend Scott Geitler's site here. 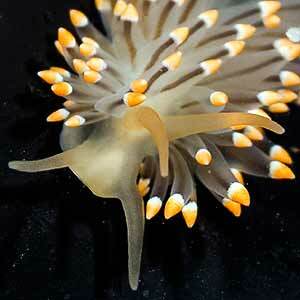 The taxonomic order of the UK species has been added under the link Species at the top left of the page header. 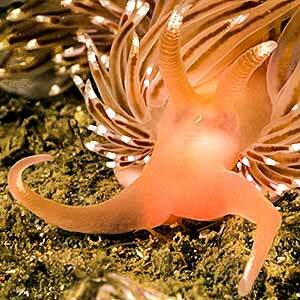 Additional images added from dives on the east coast. 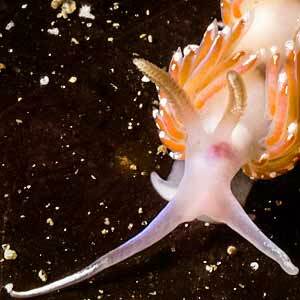 A species not seen by me before has been added from the east coast. Additional images added from our spring trip on the excellent MV Mary Doune off the west coast to Skye and Loch Hourn and from other dives on the west coast. 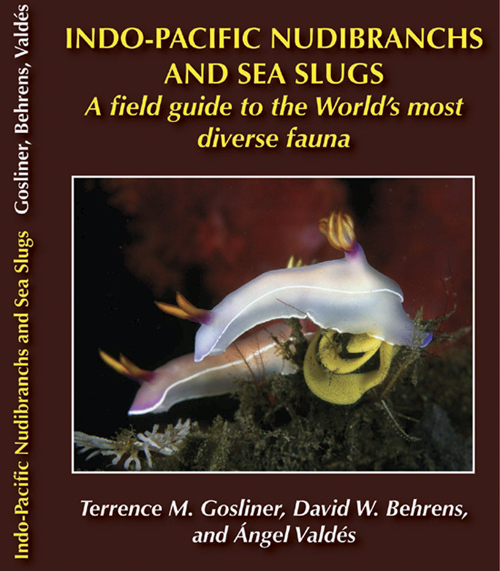 We have added Gosliner, Behrens and Valdés' Indo-Pacific Nudibranchs and Sea Slugs to our library. 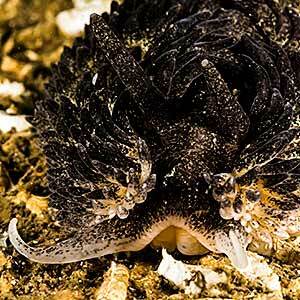 Following a revision to the identification of the Doto coronata images by Dr. Bernard Picton a new species from the west coast added to the site. 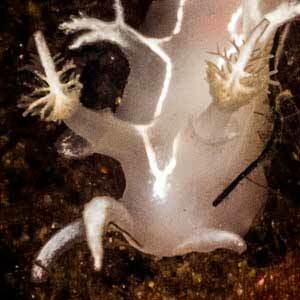 Two new species from the west coast added to the site. 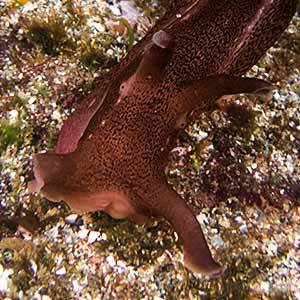 Additional images added from a dive on the west coast. 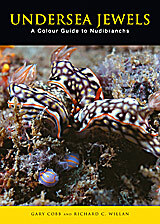 Added to our library is Nudibranchs Encyclopedia - Catalogue of Indo-Pacific Sea Slugs by Neville Coleman. 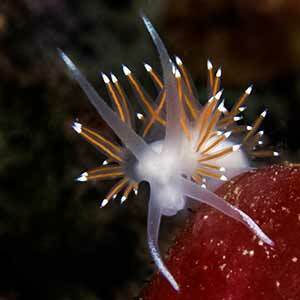 Cuthona sps. 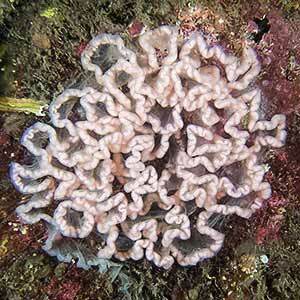 have been revised as Trinchesia following the recent work by Michael C. Miller. Thanks to Peter H. van Bragt for bringing this to our attention. 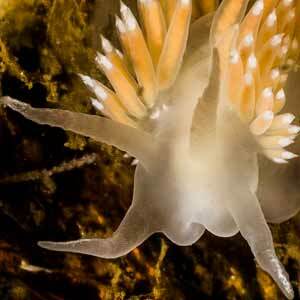 Additional images added from dives on the west coast . 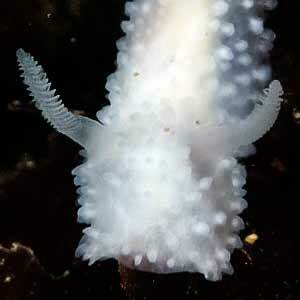 Additional images added from dives from the MV Mary Doune on the west coast . 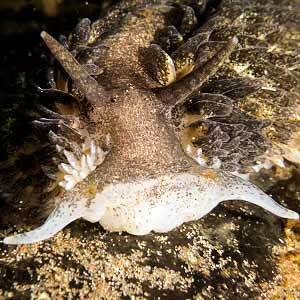 Additional images added from 5 dives on the east coast at St Abbs Head. 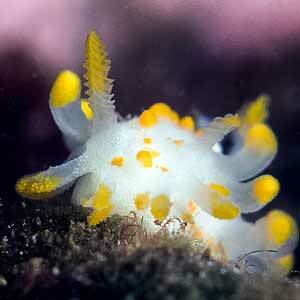 and 1 dive at Loch Fyne on the west coast. 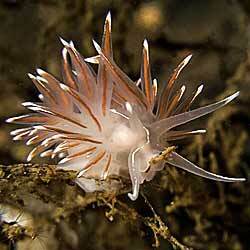 Additional images added from dives on the west coast from the MV Mary Doune. With thanks to Peter H. van Bragt from Holland. Misidentified Trinchesia amoena have been placed in Trinchesia rubescens. 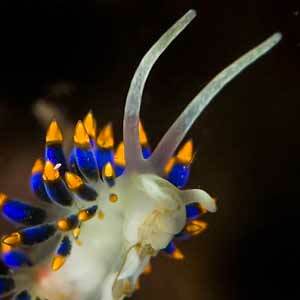 Added to our library is Undersea Jewels: A Colour Guide to Nudibranchs, 2006. Gary Cobb and Richard C. Willan. 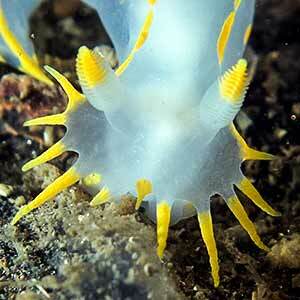 This publication is a ‘ready reckoner’ guide to the nudibranchs of south-eastern Queensland, Australia. 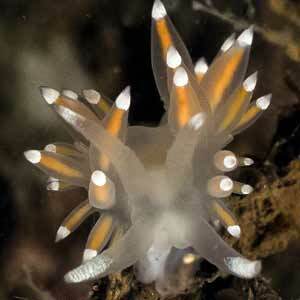 It is the results of a study over 100 km of coast and identifies 277 different species. 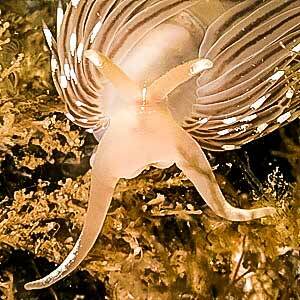 We have updated the links to A Field Guide to the Nudibranchs of the British Isles. 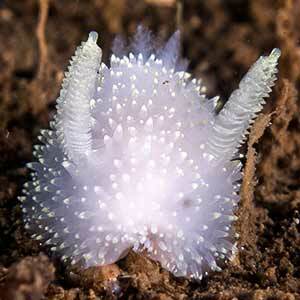 Trinchesia gymnota has been corrected to Catriona gymnota. 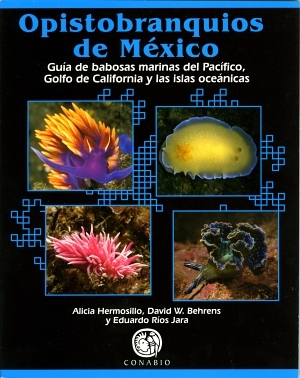 Opistobranquios de Mexico by A. Hermosillo, D.W. Behrens & E.R. Jara. We are featured in DiveNews on 29 July 06. From regular visits to Loch Fyne, Oban and Eyemouth more images have been added to the site. 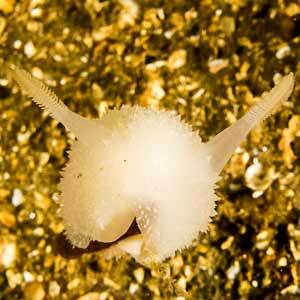 We have started visiting rock pools and have found the velutinid Lamellaria perspicua along with nudibranchs Goniodoris nodosa, Jorunna tomentosa, Limacia clavigera, Onchidoris bilamellata and Onchidoris muricata. These are added to the database of sightings etc. 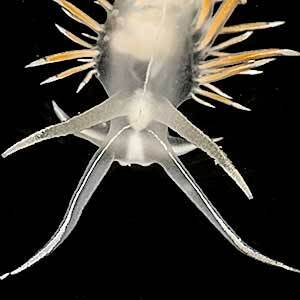 and the species and image added to the site. 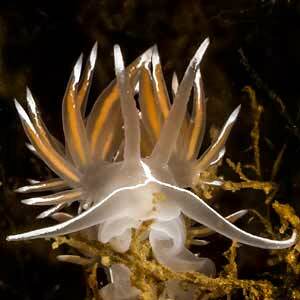 We had a great weekend over the 1/2 April at the Marine Conservation Nudibranch Course at Portaferry, N. Ireland. 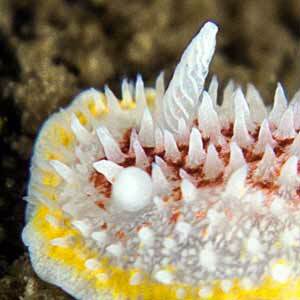 From regular visits to Loch Fyne more images of Doto fragilis, Pleurobranchus membranaceus and Tritonia hombergii have been added to the site. 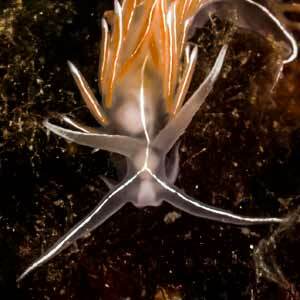 After a productive weekend of superb diving from the MV Mary Doune around the Inner Hebrides, additional images of Diaphorodoris luteocincta, Doto maculata, Eubranchus exiguus, Eubranchus farrani, Eubranchus tricolor, Facelina auriculata, Flabellina gracilis and Tritonia hombergii . 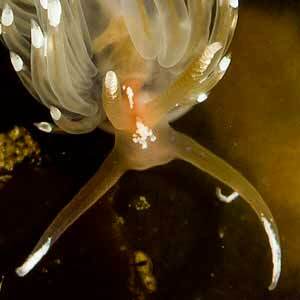 We also saw Limacia clavigera and Aplysia punctata. 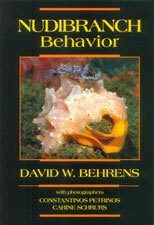 Added to my library a copy of Nudibranch Behaviour by David Behrens and photographers Constantinos Petrinos and Carine Schrurs. 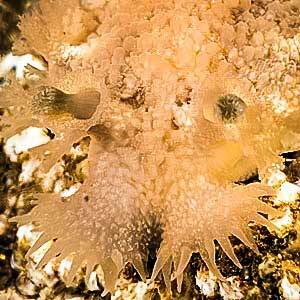 Look on pages 62 and 63 for our own Highland Dancers, Pleurobranchus membranaceus. 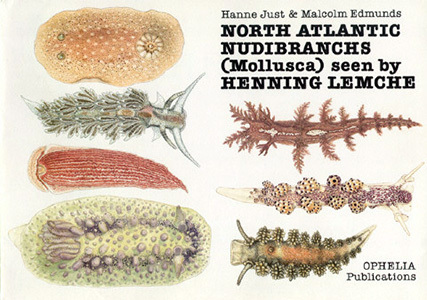 This book is beautifully illustrated and full of fascinating information. 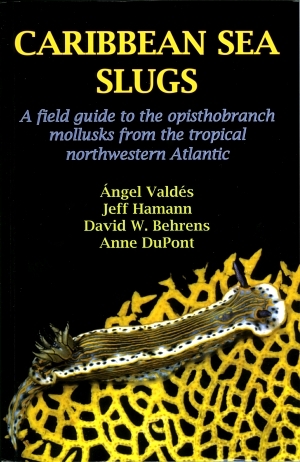 Following the revision by Valdés (2002) Archidoris Pseodoargus has been renamed Doris pseudoargus. 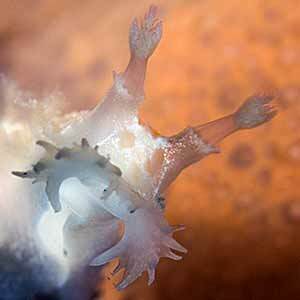 More images of Aeolidiella glauca, Trinchesia caerulea, Doris pseudoargus, Geitodoris planata and Goniodoris nodosa have been added to the site. Another new species Elysia viridis, and additional images of Ancula gibbosa, Doris pseudoargus, Cadlina laevis, Trinchesia caerulea, Diaphorodoris luteocincta, Facelina auriculata and Limacia clavigera. 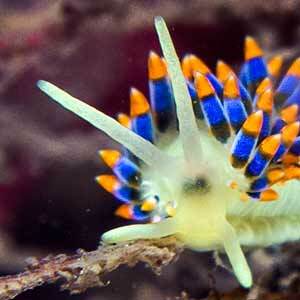 Additional images of Doris pseudoargus, Trinchesia caerulea, Doto fragilis, Eubranchus pallidus, Facelina bostoniensis, Favorinus blianus, Favorinus branchialis, and a mass spawning event of Onchidoris bilamellata. 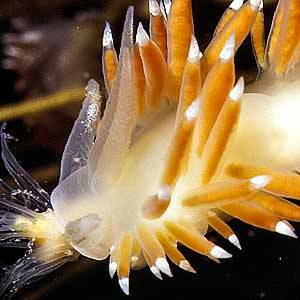 Another new nudibranch species, Trinchesia pustulata found in Loch Linnhe and a new species of Sacoglossan sea slug, Hermaea bifida found in Loch Fyne have been added to the site along with additional images of Flabellina lineata, Goniodoris nodosa, and Tritonia hombergii. 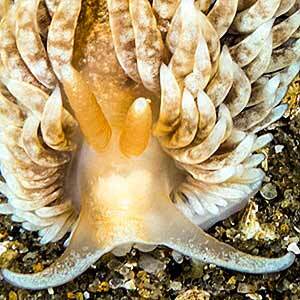 I have added details of the photographic equipment I use on a separate page. 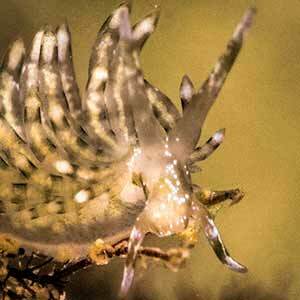 Additional images added following sightings of Doto coronata, Facelina auriculata, Flabellina browni, Flabellina lineata, Geitodoris planata, Polycera faeroensis, and Tritonia hombergii . 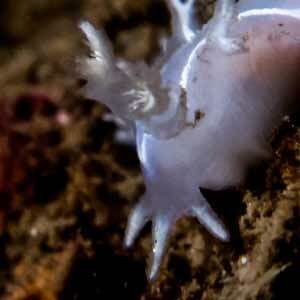 Meanwhile on the nudibranch front another tiny species Doto maculata has been found and added to the site along with more images of Trinchesia caerulea, Doto coronata, Doto dunnei, Doto fragilis, and Limacia clavigera. 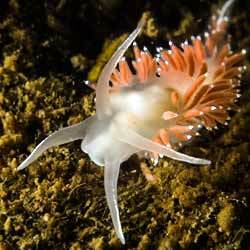 Following careful consideration of the arguments we have accepted the older genus Flabellina and have changed from Coryphella. 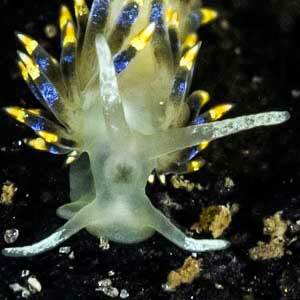 A new species Eubranchus vitattus has been found and added to the site along with more images of Cadlina laevis, Trinchesia amoena, Trinchesia caerulea, Trinchesia rubescens and Facelina bostoniensis. 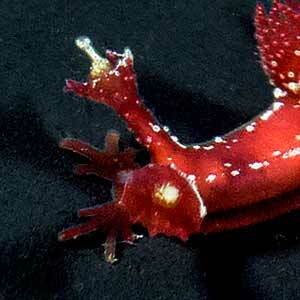 Another new species, Rostanga rubra has been added along with recent additional images of Eubranchus farrani, the rarely seen Goniodoris castanea, and Polycera quadrilineata have been added to the site along with additional images from my slide collection of Acanthodoris pilosa and Geitodoris planata. 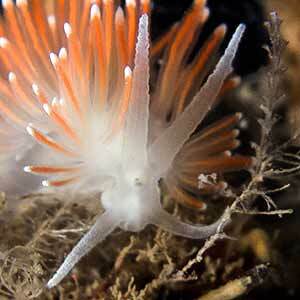 This update follows two splendid and productive dives at Weasel Loch, Eyemouth on the east coast on 18 July 2004. 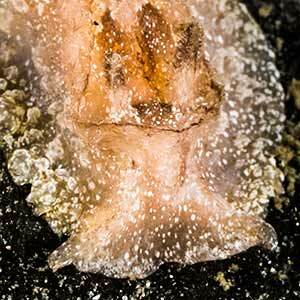 A new species, Favorinus blianus has been added along with additional images of Acanthodoris pilosa , Cadlina laevis, Eubranchus farrani, Facelina auriculata, Favorinus branchialis, Onchidoris bilamellata and Polycera quadrilineata have been added to the site. 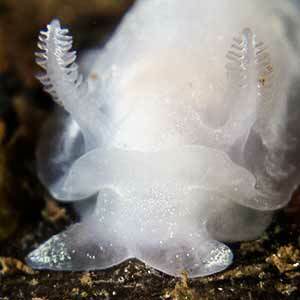 Other species seen but not photographed were tiny Doto sp. 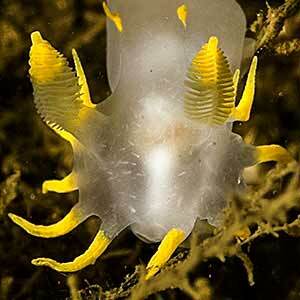 on the kelp and Janolus cristatus on the side of the gully at 6 m.
One of my images of a mating pair of Polycera faeroensis wins Picture of the Week 37 at Wetpixel. 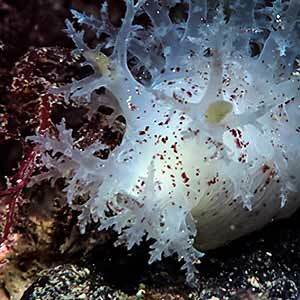 Additional images of Aplysia punctata, Flabellina lineata, Trinchesia caerulea, Doto coronata,Geitodoris planata, Goniodoris nodosa, Jorunna tomentosa, Limacia clavigera and Pleurobranchus membranaceus have been added to the site. 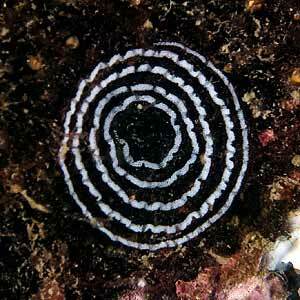 Thanks to Dr. Bernard Picton a couple of misidentifications have been sorted at Doto dunnei from Doto coronata and Eubranchus exiguus from Eubranchus pallidus. Additional images of Aplysia punctata, Doto coronata, Eubranchus pallidus, Jorunna tomentosa, Polycera quadrilineata and Tritonia hombergii have been added to the site. 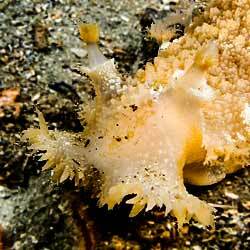 Additional images of Cadlina laevis, Diaphorodoris luteocincta, Doto coronata, Doto fragilis, Eubranchus pallidus, Jorunna tomentosa and Polycera faeroensis have been added to the site. 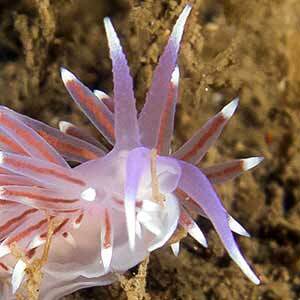 Additional images of Flabellina lineata, Eubranchus farrani, Eubranchus pallidus, Facelina auriculata, Facelina bostoniensis, Geitodoris planata and Goniodoris nodosa have been added to the site. 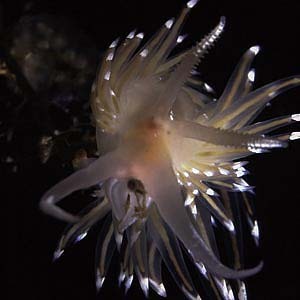 The camera has been upgraded to the Olympus 5050 in a PT-015 housing and I am using my Nikonos 105 strobe in slave mode with a fibre optic cable connection. 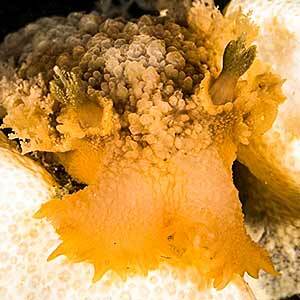 Additional images of Aplysia punctata, Doris pseudoargus, Cadlina laevis, Facelina bostoniensis, and Pleurobranchus membranaceus have been added to the site. 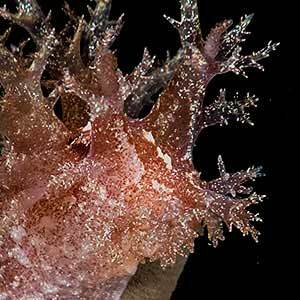 Additional images of Doris pseudoargus, Cadlina laevis, Doto fragilis, Eubranchus farrani, Limacia clavigera, Onchidoris bilamellata, Onchidoris muricata and Pleurobranchus membranaceus have been added to the site. 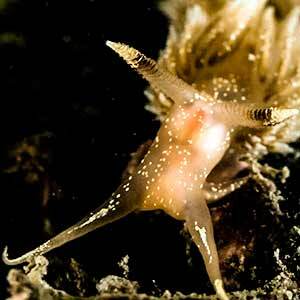 A new species, Lomanotus genei has been added to the site along with additional images of Flabellina browni , Flabellina lineata (including a pair mating), Dendronotus frondosus, Onchidoris bilamellata and Tritonia lineata. 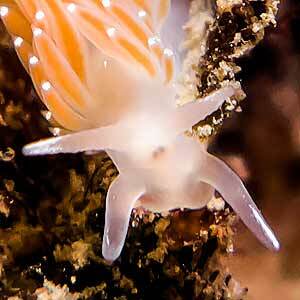 Additional images of Flabellina lineata, Janolus cristatus , Onchidoris bilamellata, Polycera faeroensis, Polycera quadrilineata and Tritonia hombergii have been added to the site. I am now using an Olympus digital camera, C-2020Z, in an Olympus PT-010 housing with external flash controlled by a Digital Adapter supplied by Matthias Heinrichs. 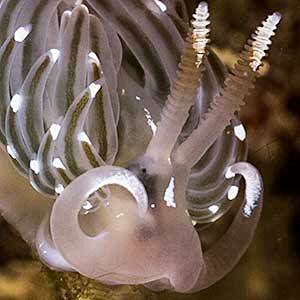 A new species Doto coronata and additional images of Acanthodoris pilosa, Adalaria proxima, Eubranchus pallidus, Facelina auriculata, Flabellina pedata, Goniodoris nodosa, Onchidoris muricata, Polycera faeroensis, and Tritonia lineata have been added to the site. 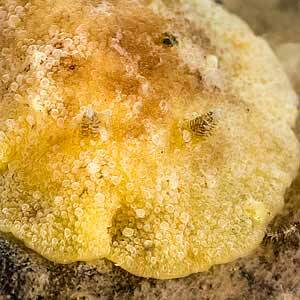 Another new species Catriona gymnota added to the site. Dendronotus frondosus has been split into Dendronotus frondosus and Dendronotus lacteus following advice and information from Dr. Mikael Tholleson. 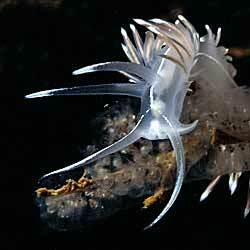 Additional images of Aplysia punctata, Trinchesia amoena, Facelina bostoniensis, Flabellina pedata, and Janolus cristatus. 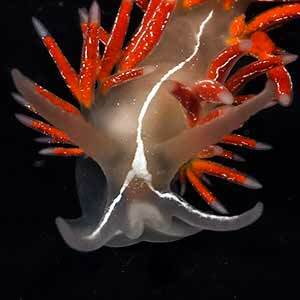 Three new nudibranch species added to the site, Flabellina gracilis, Trinchesia rubescens and Eubranchus exiguus and the sacoglossan sea slug Placida dendritica added along with additional images of Flabellina browni and Limacia clavigera. 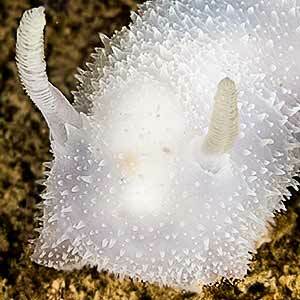 Another new species, Doto fragilis has been added to the site along with additional images of Acanthodoris pilosa, Aeolidiella glauca, Doris pseudoargus, Flabellina browni, Flabellina lineata, Diaphorodoris luteocincta, Geitodoris planata, Goniodoris nodosa, Pleurobranchus membranaceus, Tritonia plebeia and Tritonia hombergii. 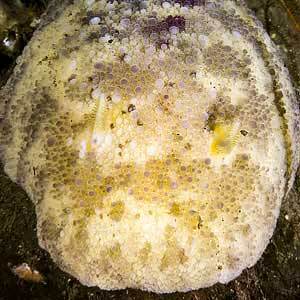 Discodoris planata renamed as Geitodoris planata. 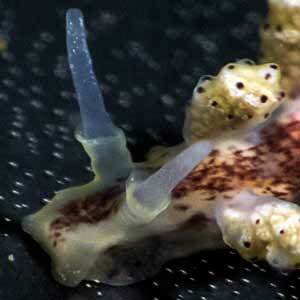 Additional images added to Dendronotus frondosus. 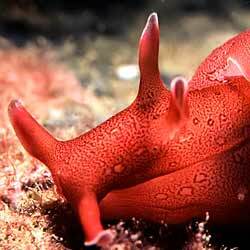 The site has been generally overhauled with additional links added to each page which connect to Nudibranchs of the British Isles and the Sea Slug Forum where visitors will find more detailed information of each species. Facelina coronata renamed with additional images, as Facelina auriculata, and additional images added to Cadlina laevis, Dendronotus frondosus, Diaphorodoris luteocincta, Janolus cristatus, Limacia clavigera, Onchidoris bilamellata, Onchidoris muricata, Polycera faeroensis and Polycera quadrilineata. 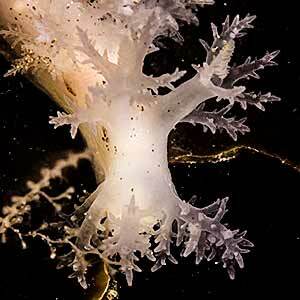 Four new species, Aeolidiella glauca, Ancula gibbosa, Trinchesia amoena, and Doto dunnei have been added to the site along with additional images of Trinchesia caerulea, Eubranchus farrani, Flabellina pedata, Goniodoris nodosa, Onchidoris muricata and Tritonia lineata. 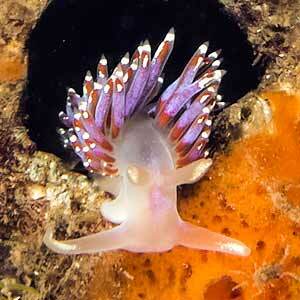 Lots of superb images and information on nudibranch and other opisthobranch life in the warm waters of the region. 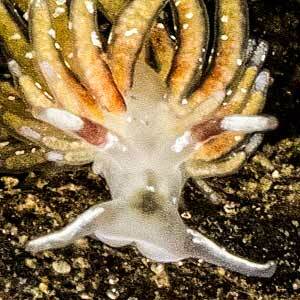 Another new species, Eubranchus pallidus has been added to the site along with additional images of Diaphorodoris luteocincta, Facelina bostoniensis, Flabellina pedata, Jorunna tomentosa, Tritonia plebeia and Cadlina laevis misidentifications resolved with thanks to Bernard Picton and Bill Rudman. 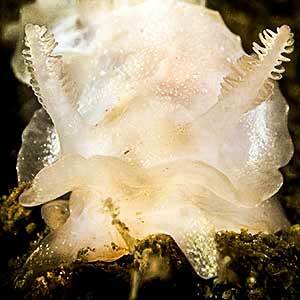 Following a successful weekend trip out to the islands of Coll and Mull on the dive boat Gemini Storm, another new species Tritonia plebeia has been added to the site along with additional images of Cadlina laevis, Flabellina browni,Flabellina lineata, Dendronotus frondosus, Diaphorodoris luteocincta, Discodoris planata, Eubranchus farrani (two different colour morphs), Flabellina pedata, and Tritonia hombergii. The highlight was the dive on the wreck of the MV Tapti on Coll where 12 species were seen on the wreck and adjacent reef. 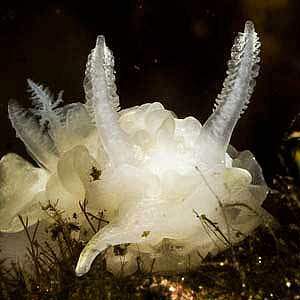 Additional images of Adalaria proxima, Cadlina laevis, Goniodoris nodosa,Onchidoris muricata, Pleurobranchus membranaceus and Tritonia hombergii. 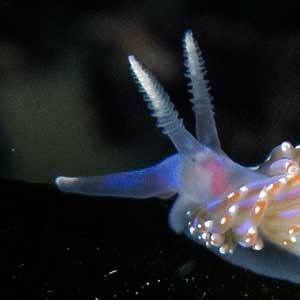 Additional images of Adalaria proxima, Trinchesia caerulea, Facelina bostoniensis and Onchidoris muricata. 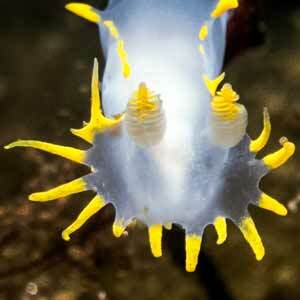 Additional images of Diaphorodoris luteocincta ,Facelina coronata, Flabellina pedata, Limacia clavigera, Polycera quadrilineata, and Tritonia lineata. 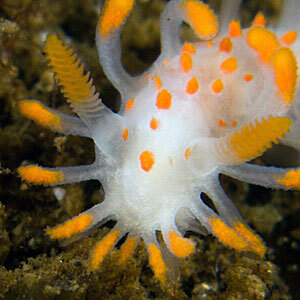 Additional images of Aplysia punctata,Flabellina pellucida, Flabellina verrucosa,Dendronotus frondosus,Eubranchus tricolor,Polycera faeroensis, and Tritonia hombergii . Frames site published with lots of new images. 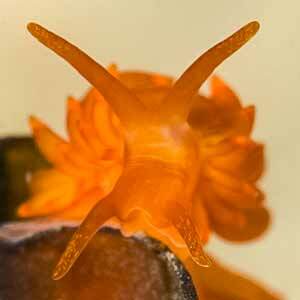 Trinchesia viridis rectified to Eubranchus tricolor; thanks to Bernard Picton. 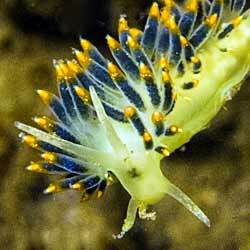 Thanks to all those who have commented and provided help with identification. I have generally rearranged the layout alphabetically with everything on a single page and added some more images and species. The site goes on line for the first time.